ZHUHAI: China’s President Xi Jinping launched the world’s longest sea bridge connecting Hong Kong, Macau and mainland China on Tuesday (Oct 23), at a time when Beijing is tightening its grip on its semi-autonomous territories. Xi announced the bridge officially open at a ceremony also attended by Hong Kong’s and Macau’s city leaders at a new port terminal in the southern mainland city of Zhuhai. 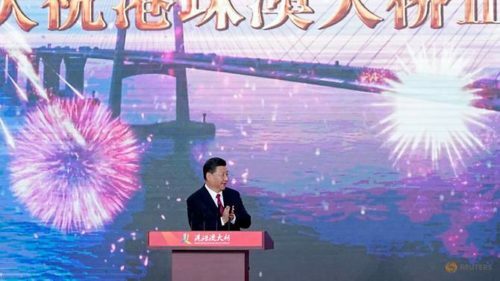 “I declare the Hong Kong-Zhuhai-Macau bridge officially open,” Xi said as digital fireworks exploded on a screen behind him in an indoor ceremony, before leaving the stage immediately. He did not address the audience. Supporters of the multi-billion-dollar bridge promote it as an engineering marvel that will boost business and cut travel time, but critics say it is one more way to integrate Hong Kong into China as fears grow that the city’s cherished freedoms are being eroded. 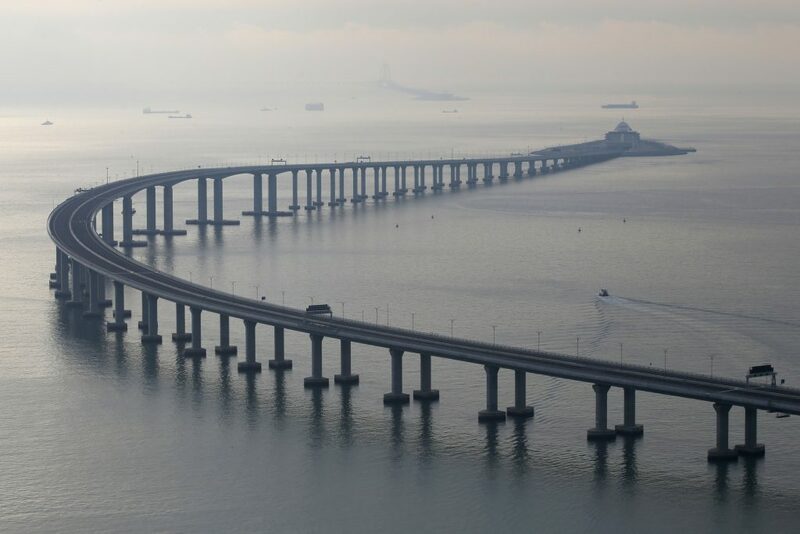 China’s Vice Premier Han Zheng characterised the bridge as part of the development of the Greater Bay Area – a Beijing-driven project to create an economic hub linking nine southern mainland cities to Hong Kong and Macau. At the ceremony he described the strategy as “deployed and driven by Xi Jinping personally”. Hong Kong leader Carrie Lam said the bridge would help transform Hong Kong from a “connector to a more active participant”. Some Hong Kong social media comments accused Lam of “selling out” to Xi and portrayed her as Piglet to his Winnie the Pooh, as she was wearing an all-pink outfit. The 55-km crossing, which includes a snaking road bridge and underwater tunnel, links Hong Kong’s Lantau island to Zhuhai and the gambling enclave of Macau, across the waters of the Pearl River Estuary. It is the second major infrastructure project tying Hong Kong to mainland China to launch in a matter of weeks, after the opening of a high-speed rail link last month that sparked criticism Hong Kong was giving away territory – with part of the terminus coming under mainland jurisdiction. The main section of the new bridge is also considered mainland territory, even though Hong Kong was slated to pay at least half the cost of the project, according to the original blueprint from the city’s government. Hong Kong cars and drivers travelling over it “must comply with the laws and regulations of the mainland”, the city’s transport department said. Building began in 2009 and has been dogged by delays, budget overruns, corruption prosecutions and the deaths of construction workers. The total price tag is unclear but some estimates run to over 100 billion yuan (US$14.4 billion). The mega bridge will open to traffic on Wednesday. The launch ceremony was hastily announced last week by mainland authorities with Hong Kong lawmakers and transport companies complaining they had been left in the dark. There was no ceremony on the Hong Kong side Tuesday, but there was a heightened police presence in coastal areas near the bridge, with officers carrying out identity checks on journalists and members of the public. 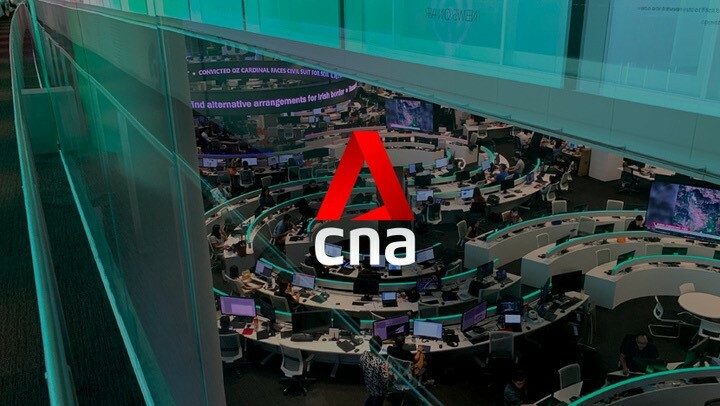 Hong Kong residents will only be granted a licence to cross into Zhuhai by car if they meet highly selective criteria, including holding certain mainland government positions or making major contributions to charities in the southern Chinese province of Guangdong. Most people will need to travel the bridge on coaches and buses. Online commenters in Hong Kong complained about the bridge’s restricted access ahead of the launch. “Such a huge investment using the Hong Kong taxpayer’s money … yet basically it is not open to us at all,” said one comment on the South China Morning Post website. But residents in Zhuhai welcomed the bridge. 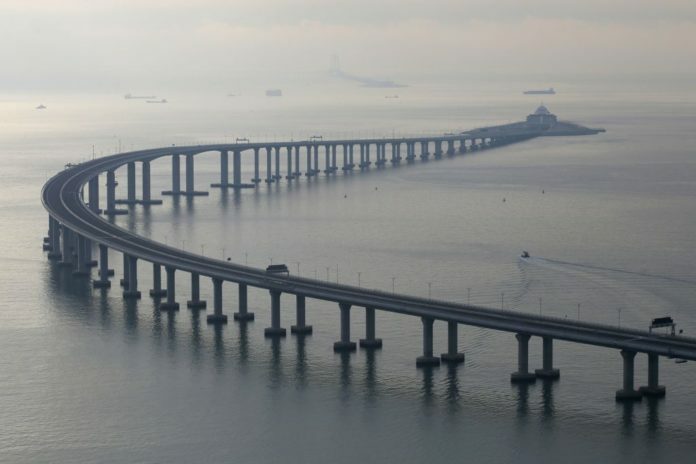 “I think this bridge will bring great convenience to the whole area of Zhuhai, Hong Kong and Macau, and promote the economic development of the whole area of the Pearl River Delta,” resident Dang Zheiliang told AFP. Resident Can Binghua paid a visit to the bridge on his day off. “Today I’m off duty, so I took my child to see the Hong Kong-Zhuhai-Macau Bridge. Now it’s almost open to traffic. It’s magnificent,” he told AFP. Some Hong Kong media reported that the physical condition of bus drivers would be monitored by cameras, including an alert sent if a driver yawns more than three times in 20 seconds. Political analyst Willy Lam said the launch by Xi showed his support for Hong Kong’s economic and political integration into the region, adding that the Pearl River Delta had long been the “new growth pole of China”. It was also timed with a wider push to mark the 40th anniversary of China’s economic reforms, against the backdrop of major challenges to the economy, including the escalating US-China trade conflict, Lam said. China already lays claim to the record for the world’s longest bridge of any kind – the Danyang-Kunshan Grand Bridge, a viaduct which is part of a high-speed rail line. The opening of the high-speed rail link last month also sparked criticism as it saw Chinese security stationed on Hong Kong soil for the first time at the city’s terminus. Critics accused the Hong Kong government of giving away territory to an increasingly assertive Beijing.